Sean Szymkowski June 28, 2018 Comment Now! 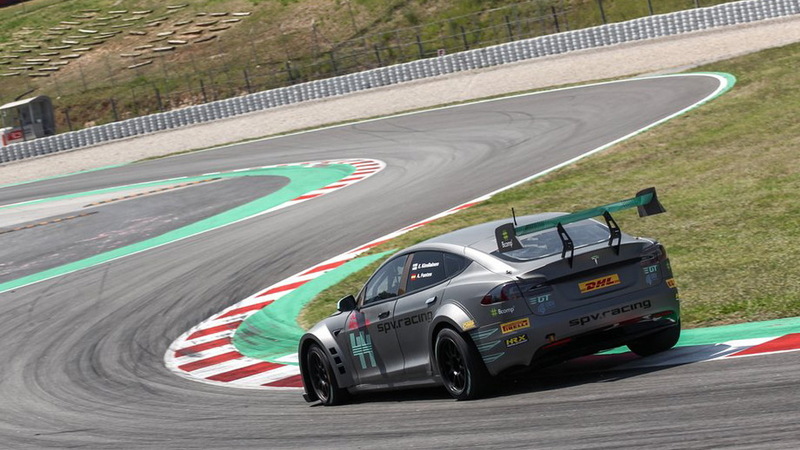 Formula E may be the premier league for electric car sports, but Electric GT's Electric Production Car Series (EPCS) wants a slice of the budding motorsport. 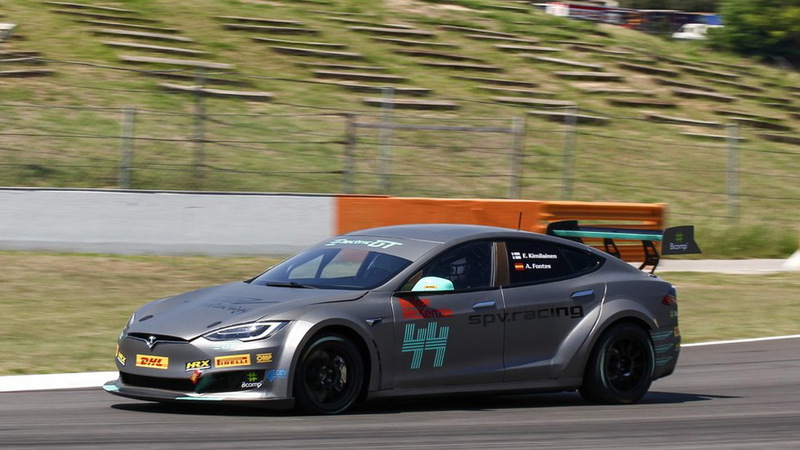 Electric GT together with EPCS race team SPV Racing held a launch ceremony in Barcelona, Spain on Tuesday where the competition-ready Tesla Model S P100D race car was shown for the first time. SPV Racing is the first to take delivery and more cars will be delivered shortly ahead of the start of the inaugural season of the EPCS this November. 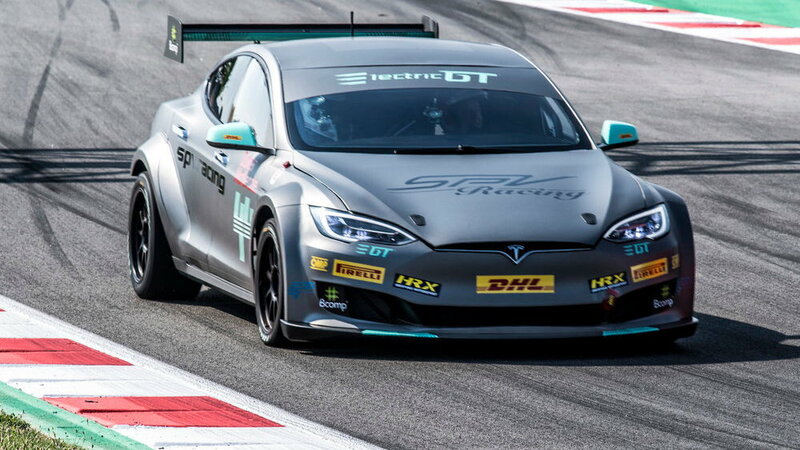 The race car is called the EPCS V2.3 Tesla S P100DL, and thanks to an uprated powertrain and less weight is able to reach 62 mph in just 2.1 seconds and top out at 155 mph. In comparison, a regular Model S P100D with Ludicrous mode does 0-60 mph in about 2.5 seconds. According to Electric GT, the all-wheel-drive race car is packing as much as 778 horsepower and 733 pound-feet of torque. SPV drivers Emma Kimiläinen and Alvaro Fontes completed a shakedown prior to the launch at the Circuit de Catalunya. All teams will run identical cars initially. However, the goal is to include more electric cars in the future. And that shouldn't be much of an issue as automakers embrace electrification. It didn't take long for automakers to flock to Formula E, and EPCS reflects production cars much better than Formula E.
Per the league's regulations, race days will consist of one day race and one dusk race, each 60 kilometers in length (37 miles). The first EPCS season will consist of 10 races. More importantly, the series earned official FIA sanctioning in February. 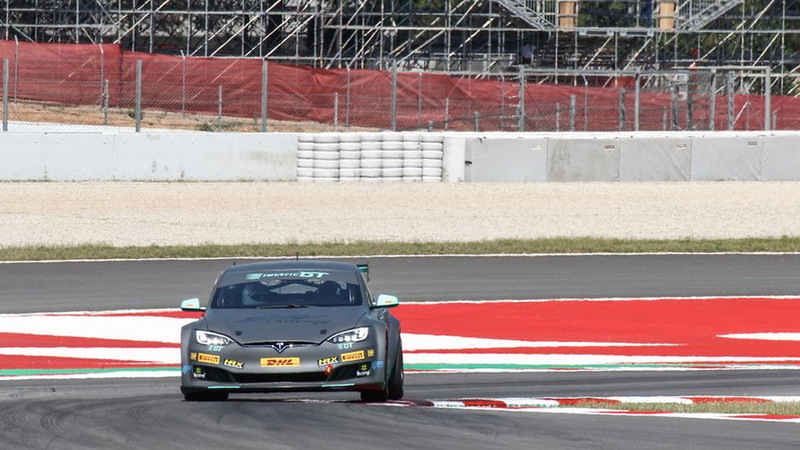 Electric GT has confirmed that the final round of the EPCS will take place at Vallelunga, Italy in October 2019 following races in Spain, France, Germany, the Netherlands, the United Kingdom and Portugal. The location of this November's season opener is yet to be announced.